Posted on 01. Dec, 2010 by admin in Lisa News. 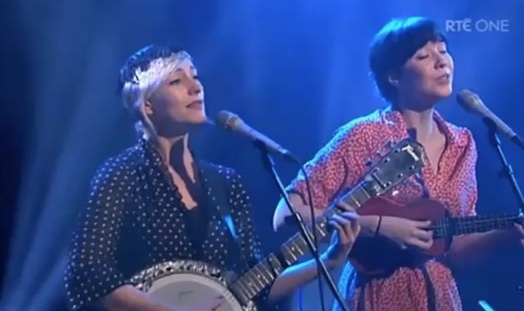 Last Saturday night Lisa Hannigan performed “Blue Moon” on Irish TV with Cathy Davey (see the video below). Both are amongst the performers at the upcoming Turning Pirate Mixed Tape New Year’s Eve Party in Vicar Street, Dublin. Other performers include: Rhob Cunningham, Neil Hannon, Jerry Fish, David O’Doherty, Gavin Glass, Richie Egan, The Ambience Affair, Tucan, Laser Tom and the Blast Crew.